10343. Roberts, Mike. 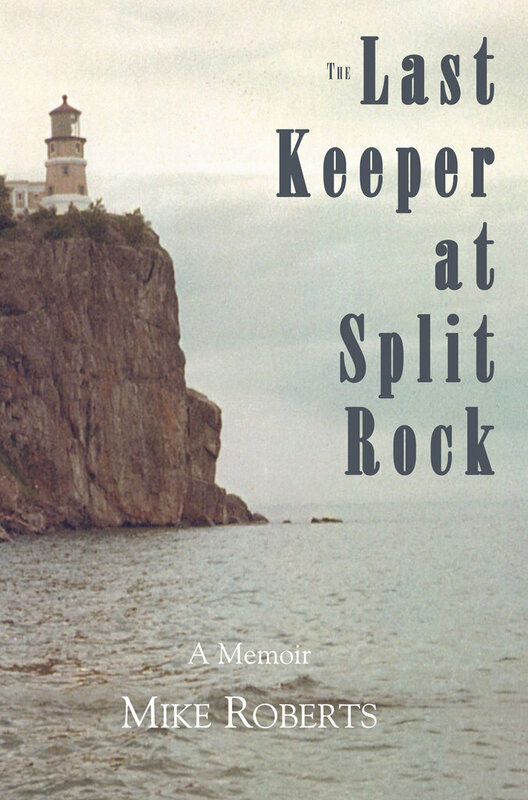 The Last Keeper at Split Rock. St. Cloud. 2010. 180p. Soft wraps. Mike Roberts was the last U.S. Coast Guard officer on duty at Split Rock Lighthouse, the Minnesota tourist destination near Two Harbors that draws more than 100,000 visitors a year. The St. Cloud-area resident has the distinction of being the person who extinguished the landmark's light for the last official time when it was decommissioned in 1969 by the Coast Guard. Evolving technology had made the landmark obsolete. More than 40 years later, Roberts returned to the lighthouse to celebrate its 100th year. This book chronicles his four-year enlistment in the U.S. Coast Guard from 1966-1970, most of which was spent on Lake Superior as a search-and-rescue crew member and as a lighthouse keeper. He notes that "There are tons of books written about lighthouse keepers, but very few actually written by lighthouse keepers." Roberts began telling his life stories to his children and grandchildren as they grew up and now he has published them for us to enjoy. These are his stories of life at Split Rock, of the great Superior, and of making ends meet on the North Shore. (M). $14.95. 13234. (mounted photo) Minnesota Point Lighthouse Remains, Head of Lake Superior, Duluth, Minnesota c.1910. 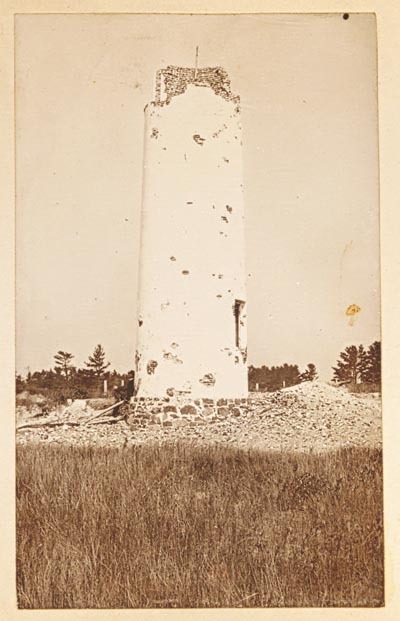 Early albumen photo mounted on album page section provides close clear view of the remains of the first lighthouse tower at Minnesota Point. 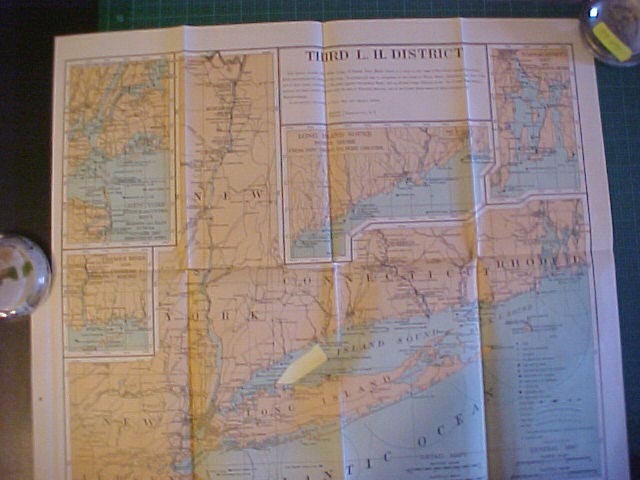 Photo measures 3 1/8” by 5” inches and is clean save one very small spot. The long sandbar protecting Superior Bay is made up of Minnesota Point, which projects eastward for seven miles from Duluth, and Wisconsin Point, which extends three miles from the Wisconsin shore. Realizing the need to mark the entrance to the harbor, known as Superior Entry and defined by these two points, Congress appropriated $15,000 on March 3rd, 1855 for a lighthouse on Minnesota Point. The light was activated until the spring of 1858. 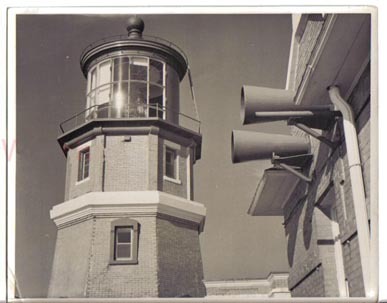 The light was active until 1894 when tha last keepers left Minnesota Point. Today, the truncated remains of Minnesota Point’s redbrick tower remain as a reminder of times past. (VG). $28. 29109. 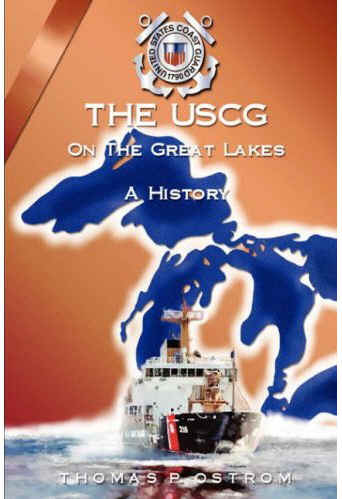 Ostrom, Thomas P. The United States Coast Guard on the Great Lakes - A History. Elderberry Press. 2007. Soft wraps. 223p. 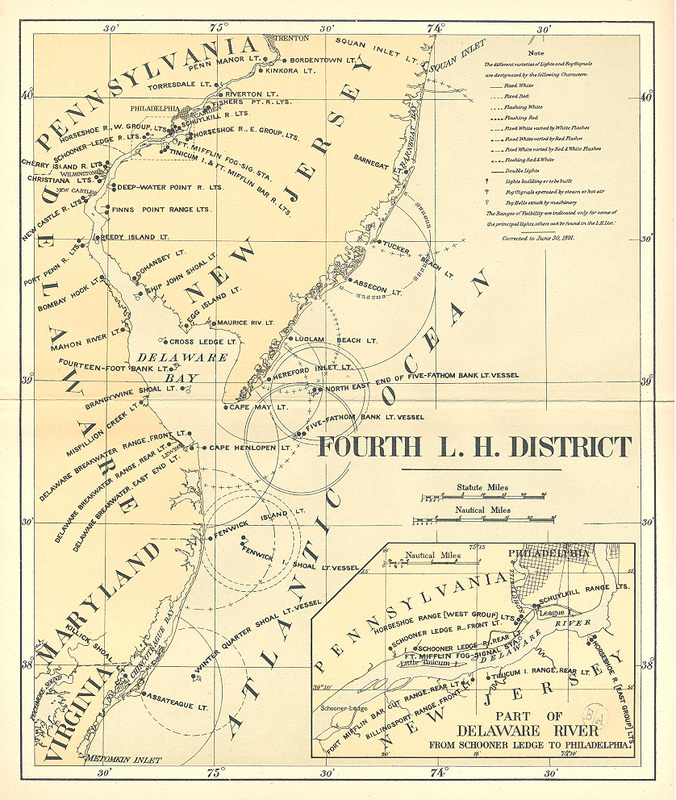 The United States Coast Guard traces its origins to 1790, but was not officially named until 1915. At last there is one definitive volume, though a bit crude, describing its history on The Great Lakes from inception to the present. The author, Thomas P. Ostrom, served in the U.S.C.G.R. from 1961-69, and had basic and advanced training at the U.S.C.G. Base, Alameda, California. He served subsequently in the Port Security Reserve Unit in Duluth, Minnesota, and participated in monthly and active duty assignments each summer, earning petty officer rank. Chapters include: A Brief Coast Guard History (1790 to 2006), Predecessors on the Great Lakes (1790-1915), The Coast Guard Emerges (1915-1939), World War II to the Present (1945 to 2006), Station Duluth (1866 to 2006), The U.S.C.G. Reserve and Auxiliary, Aids to Navigation, Great Lakes Light Stations, Great Lakes Ice Breakers, Buoy Tenders on the Lakes, Life Saving, Environmental Protection, Law Enforcement, Port Security, National Defense, and Commerce, An Overview of the Ninth Coast Guard District, Coast Guard Command Leadership, and more. (M). $19.95. 2602. (photograph) Split Rock Lighthouse and Fog Signal, Minnesota c.1940-60. The U. S. Lighthouse Service completed the 7.6-acre facility in 1910 and operated it until 1939, when the U.S. Coast Guard took command. The station closed in 1969, when modern navigational equipment made it obsolete, and the State of Minnesota obtained the scenic landmark in 1971. Superb 8x10 b/w photograph shows great detail of the lighthouse lantern and tower, as well as the dual fog signal trumpets. Clean, clear, only one small crease to lower corner. (VG). $38. 2969. na. SPLIT ROCK LIGHTHOUSE. Minnesota Historical Society. 1993. 32p. Soft wraps. As Great Lake ’s vessels doubled in length and the era of steam replaced sail, the need for a lighthouse at Split Rock was becoming more and more clear. After the November gale of 1905 when a half-dozen huge freighters ran aground, Congress appropriated $75,000 for a light and fog signal station on the site. This most informative booklet details the events leading up to the establishment of a light here, landing the necessary materials, the labor used to construct the station, equipment installed, and a great deal about the keepers and their life at the station. Illustrated with a number of excellent early photographs of the keepers tending their equipment, family life and more. Nicely done. (VG+). $22. Page updated July 11, 2014 . All text and illustrations on web site Ó James W. Claflin . 07/11/2014 All rights reserved. Use prohibited without written permission.